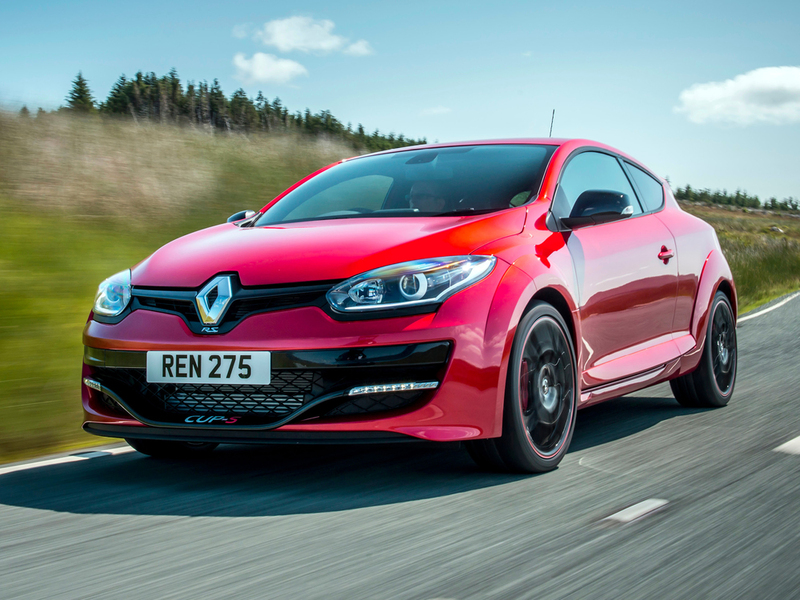 Renault has unveiled a new hot hatch - the Megane Renaultsport 275 Cup-S - priced at £23,935 OTR. The new 275 Cup-S brings an introduction to Renault's high-performance range at 'a more affordable price'. 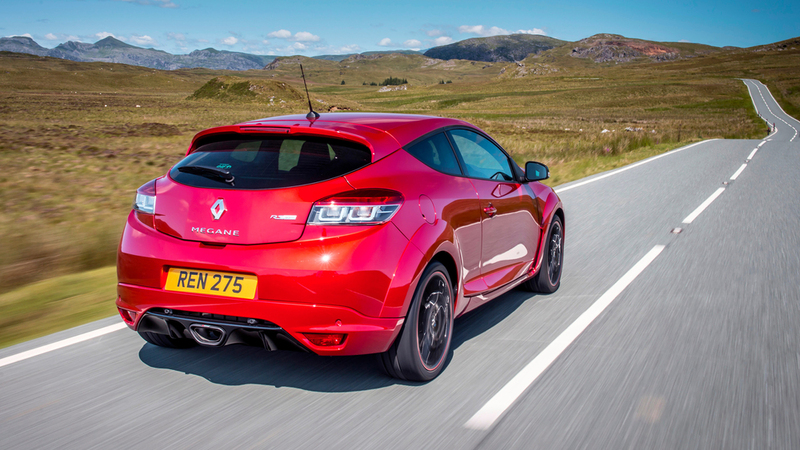 The Megane Renaultsport line-up also sees another new version - the 275 Nav - that replaces the outgoing 265. As the name suggests it has 10hp more than the model it replaces and comes with a more luxurious level of specification, priced at £25,935. Both new Megane Renaultsport versions are powered by the same 2.0-litre, 275hp turbocharged petrol engine as the limited-edition 275 Trophy-R which, in June 2014, broke the lap record for a front-wheel-drive production car around the 13-mile Nurburgring with a time of 7 minutes 54.36 seconds. Following in the footsteps of previous Renaultsport models to carry the 'Cup' moniker, the 275 Cup-S features the uprated Cup chassis as standard whilst sporting lower price tag than the 275 Nav in exchange for some of its sibling's higher specification items. Powered by a Renaultsport-developed 2.0-litre turbocharged unit, in normal mode, the 275 Cup-S develops 250hp at 5,500rpm for comfortable everyday performance driving, but through the Renaultsport Dynamic Management system this can be increased to 275hp. With maximum torque of 360Nm, available across a broad rev band from 3,000 to 5,000rpm, the gearbox is a slick-shifting six-speed manual with ratios chosen to maximise the 'dynamic performance of the engine'. Acceleration from 0-62mph takes 6-seconds and the top speed is 158mph. With the aid of the Stop&Start engine cut-off system it has an NEDC combined fuel economy of 37.7mpg, with CO2 emissions of 174g/km. A PerfoHub double-axis front suspension has been engineered to overcome the drawbacks commonly associated with powerful front-wheel-drive cars, such as self-steering input through tight corners and poor straight-line stability. The 275 Cup-S also has the Cup Chassis Pack with mechanical limited-slip differential, red paint on the Brembo four-pot brake calipers, firmer springs and dampers and a stiffer anti-roll bar, making it ideal for circuit use. The second model in the new Megane Renaultsport line-up is the 275 Nav, which delivers identical performance to the 275 Cup-S from the same engine, but has a specification more suited to everyday road driving. The 275 Nav is fitted with the standard 'Sport' chassis, which still provides a 'formidable degree of handling finesse and precision' says Renault, but it has more compliant suspension. Standard wheels are the 18-inch 'Tibor' alloy wheels with a satin anthracite finish and Dunlop Sport Maxx tyres whilst the Cup Chassis Pack is available as an option. Owners who wish to sharpen the car's responses to an even higher level, and particularly for track use, can specify a series of components developed between Renaultsport and world-renowned performance specialists. Both models are available to order now with deliveries starting in November.